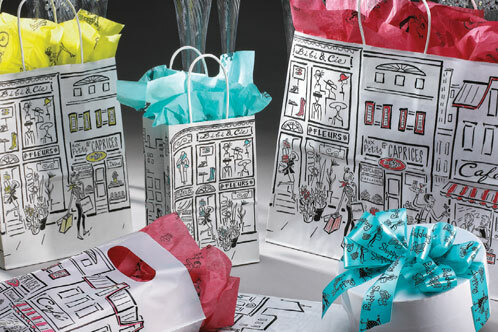 Our City Collection shopping bags and merchandise bags feature a fun city-themed design. Several sizes are available in the City Collection merchandise bags and City Collection shopping bags. If you have any questions, please chat online or call, and one of our knowledgeable representatives will assist you with your shopping bag questions. Palay Display has been selling store fixtures and store displays since 1945. 5 1/4" x 3 1/2" x 8"
The City Merchandise Bags - 9" x 11 1/2" x 2"
9" x 11 1/2" x 2"
The City Merchandise Bags - 12" x 16" x 2"
The City Merchandise Bags - 16" x 18" x 2"
The City Merchandise Bags - 20" x 23" x 4"
20" x 23" x 4"